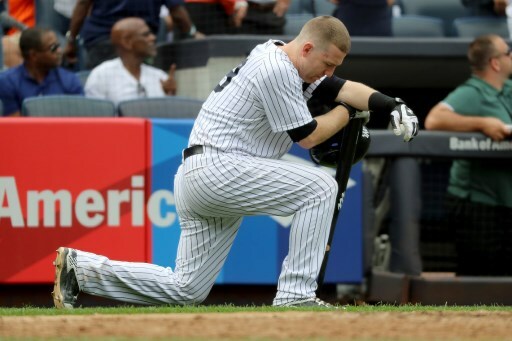 Todd Frazier was tearful after the ball he batted away smashed into a young girl's face. Photo: Abbie Parr/Getty Images/AFP. A toddler was hospitalized after being struck by a foul ball at Yankee Stadium, the latest in a series of incidents that have led to calls for more protection for spectators in Major League Baseball.